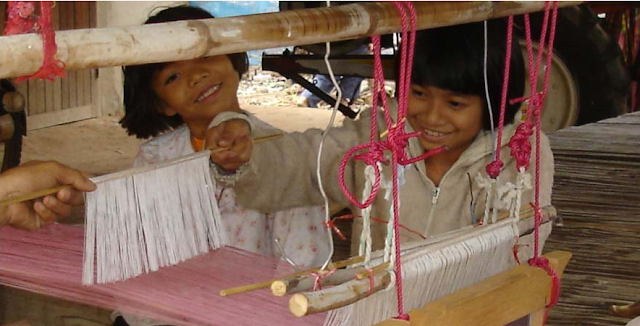 When I think of Anthropologist, TEDx Speaker and Director of Sawang Boran Fair Trade Silks, Dr. Roseanne Trottier, I am reminded of the line in Joni Mitchell's Big Yellow Taxi, "They paved paradise and put up a parking lot." "We are surrounded by an epidemic of ugliness: concrete, pollution, garbage, noise. I mean all of our senses are being attacked by this epidemic of ugliness that seems to go hand in hand with development." "Beauty is going down the drain." Dr. Roseanne Trottier feels like many of us feel, that beauty is in nature - like the indescribable and unmeasurable beauty in landscapes that we see and are in awe of. But she also feels that beauty can be found in the intertwining of nature with the traditions that human beings have utilized in civilizations over centuries to craft portable artifacts of the beauty of nature. Roseanne Trottier believes that this type of deep, authentic, organic beauty, speaks to the soul and is a necessary ingredient for humankind. to create beautiful artifacts we can take great joy in. TEDx - Rosanne Trottier - "Rediscovering the Right to Beauty"
Sawang Boran is a group of artisan, Isan women who, with the help of anthropologist Dr. Trottier, have been reconnected with the roots of their deep and spiritual knowledge of the beauty of nature. 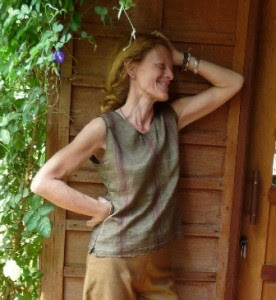 They create authentic, traditionally processed (yet newly labeled "organic"), one of a kind fair trade silks (including beautiful clothing) in Isan Northeast Thailand for sale throughout the world. Sawang Boran fair trade silk products are beautiful reminders that we humans are here not only to take and use Earth's resources until they are gone, but we are here to share in the spirituality of this beautiful planet, her people and her wealth. Looking at the beautiful collection, you can see what I mean when I say the silk pieces the women of Sawang Boran create, are truly wearable pieces of art taken from the beauty of nature. 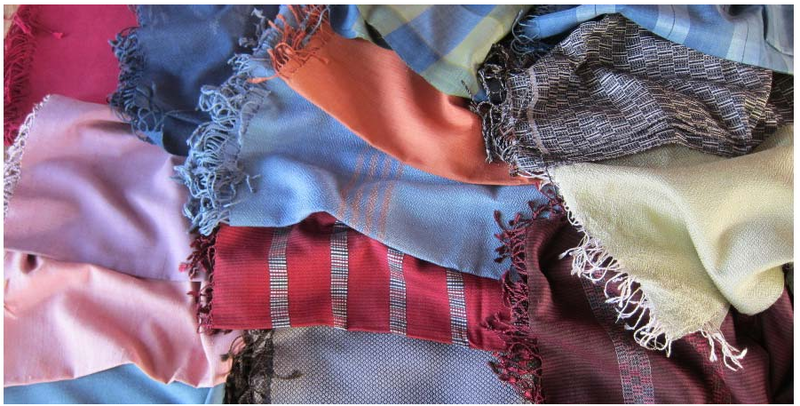 To see the full collection of beautiful, fair trade silk pieces including shawls, scarves, apparel, purses, postcards, Ikat sarongs, organic silk fabrics and silk treats, please visit Sawang Boran's shop. And remember that with each purchase, you are you are also buying into a tradition and its ethical revitalization. Get to know Sawang Boran and you will get to know true beauty.